A Casio G-Shock that will fetch 10 grand? It’s only a few years away. 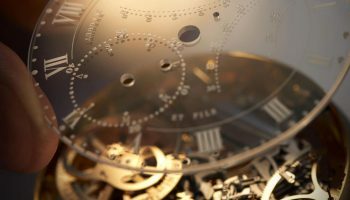 A mechanical movement in a Casio? Who knows. A visit to Casio is a shocking experience in more ways than one. The Japanese watch giant doesn’t exactly hide its pride, dynamic and ambition under a bushel. A report from Japan. We’re taking you back to the early 1980s. 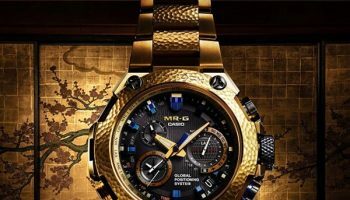 The Japanese quartz watch has conquered the world and at Casio they’re looking for a way to improve the battery-powered watch with digital display – the technology is a progression from the calculators with LCD screens – and keep it in the public eye. Kikuo Ibe is charged with the task of making the fragile quartz watch more robust. He works inexhaustibly and uses unorthodox methods to successfully complete his assignment. People who worked at the Casio offices in Hamura – just outside the metropolis of Tokyo – in those days had to dodge falling watches, as Ibe and his team would frequently drop various test watches from the top floor to see if they would survive the fall. 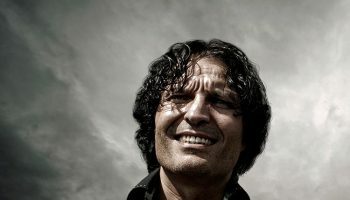 Many, many tests failed, but eventually Ibe and his team managed to produce a digital quartz watch that had no problem coping with falling off a tall building; the secret lies in the use of a ‘floating’ movement. It’s 1983 and the G-Shock is born. 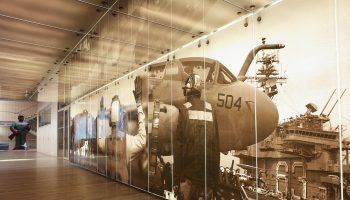 Initially the watch was regarded as a purely functional instrument and so the virtually indestructible G-Shock was worn by construction workers, firefighters, police officers and the like. Thirty-three years later the G-Shock remains a functional instrument that, apart from being a leader when we’re talking about technological developments and functionalities, is also a watch that appeals to trendsetters because of its untamed, incomparable look. The first G-Shock was small and made of plastic. Essentially this basic model has never disappeared from the collection. Apart from the fact that the plastic models have become increasingly bigger and more complicated, there is now also a series of metal variations. Thirteen years after the debut of the original, Casio presented the MR-G in a steel case and with a steel bracelet – Kikuo Ibe was behind this construction as well: a highly robust case and yet not too heavy, based on the starting point of the original ‘unbreakable’ philosophy – intended to appeal to a bigger target group. A plastic model represented sports and leisure time, but a steel G-Shock you could take to work as well. The watch was released in Japan and sold out completely on the first day. 1997 was a record year for sales, thanks to the MR-G but also because the American youth simply couldn’t get enough of the plastic G-Shocks. The G-Shock became a fashion item. 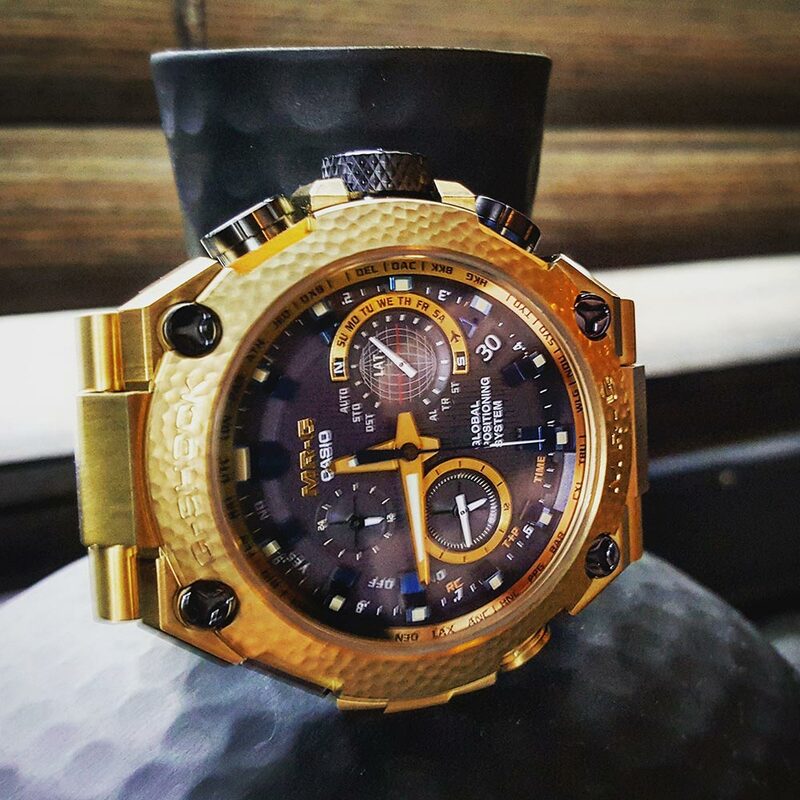 Fashion turned the G-Shock into an overnight success, but because fashion is fickle sales eventually declined. Casio’s trick to make the G-Shock more timeless was a traditional one: they included hands to create a more familiar picture. This worked and today Casio is looking at an ever-climbing sales graph with the G-Shock. The hype of the Nineties is over and has been replaced by steady growth, and it’s that stable growth that inspires confidence. So much so that in addition to the basic G-Shock of around 100 euro the catalogue now also features a G-Shock of more than 6,000 euro. 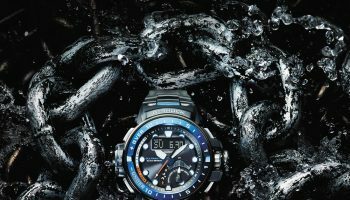 After the conception, the evolution to metal and the introduction of analogue models, the move into the luxury segment is the fourth life phase of the G-Shock. And that life phase is the reason we are visiting Japan. We are in Yamagata. In this city, an hour’s flight away from the capital where the head office is located, we are visiting the manufacture and the Premium Production Line in particular. 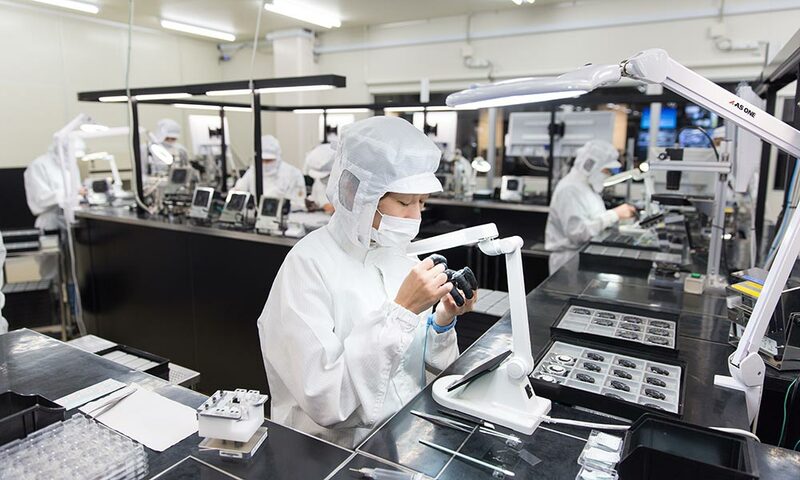 This is where the high-end G-Shock models are assembled, under strictly controlled conditions and by the very best employees in the manufacture. 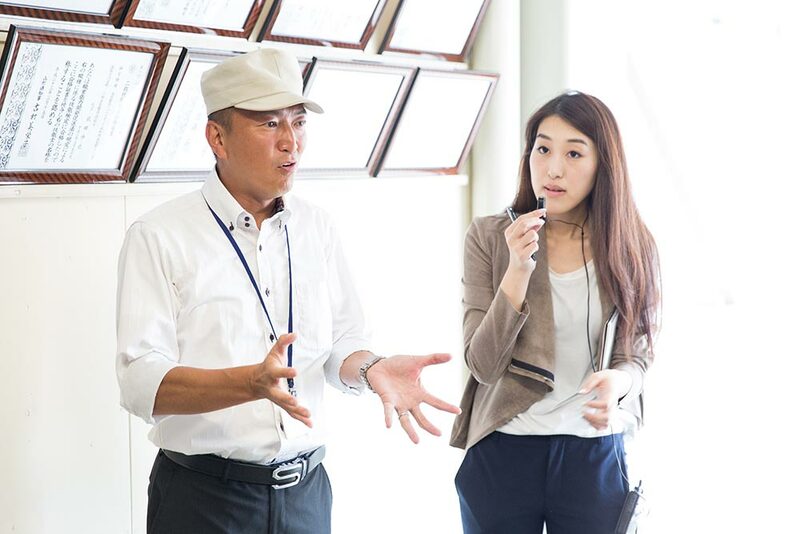 Only when an employee has achieved a certain level – the company uses various level of the title ‘Meister’, because from a Japanese perspective this German word symbolises the ultimate in quality – can he work on the Premium Production Line. 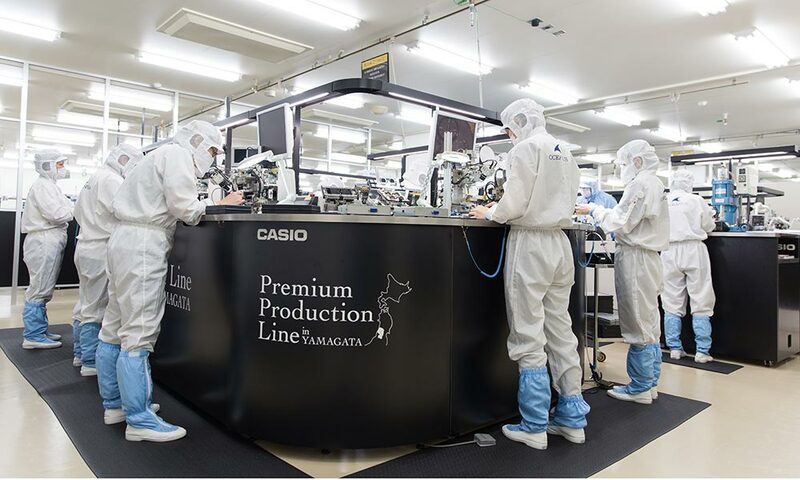 Casio employs 11,000 people in Japan; only 650 of them work in Yamagata and only 16 out of these 650 make the premium G-Shock models in Yamagata, in an area that is reminiscent of a pharmaceutical laboratory or a place where secret weapons are assembled; either way, very high-tech. Dressed like astronauts the ´Meisters´ work on the automated production line in the completely dust-free space. 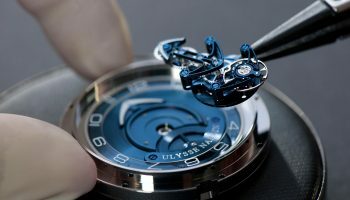 Not a spring barrel or balance wheel in sight; instead, ultra-modern quartz movements that ‘run’ on solar power, derive their precision from radio waves and GPS signals and can measure air pressure or have a compass function. Incidentally, Casio isn’t the only Japanese watch producer that makes ‘connected’ watches. 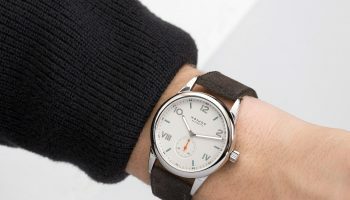 Citizen and Seiko also use the radio signals of the two atomic clocks in Japan and, more recently, the GPS satellites that orbit the earth, because Japanese consumers prefer those types of watches. In a country where train delays are expressed in seconds rather than minutes the prominent space of accuracy in Japanese society is evident. The striving for accuracy and the use of high quality standards are closely linked. The latest high-end G-Shocks in their metal cases are assembled in Japan. 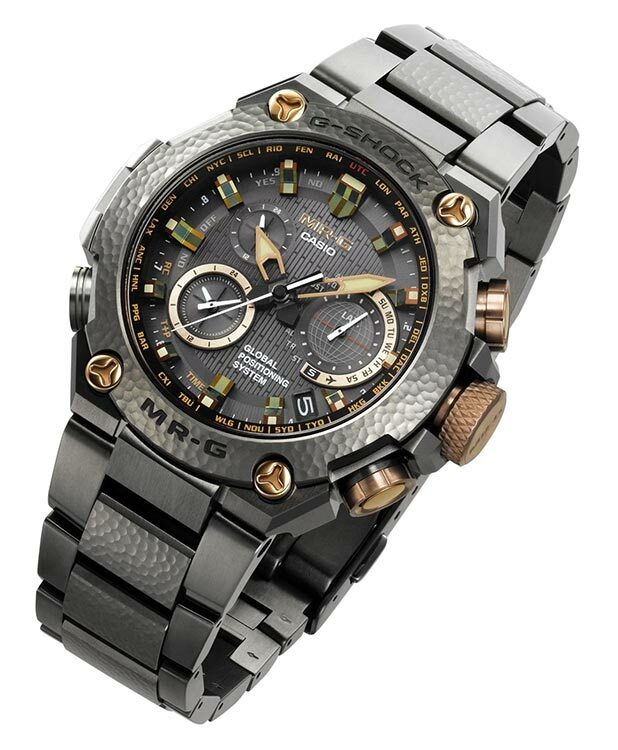 The complex case designs, the beautifully finished surfaces, the sapphire crystal used in the watches and the rich detailing show that it is extremely important to Casio to secure a permanent position with the metal G-shocks like the MT-G and the MR-G in a price segment where Swiss producers of mechanical watches also reside. 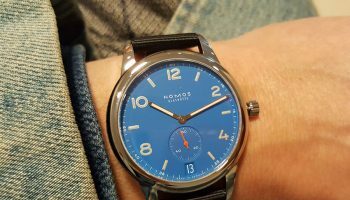 A stranger in a conservative world but one that is not only tolerated by many lovers of mechanical watches, but even cherished and collected. The G-Shock is so different from its mechanical counterpart that the two complement each other perfectly. However, a G-Shock that is creeping towards the Rolex price level is a different story altogether. In those rarefied spheres radio waves and altimeters are no longer enough to curry favour. And at Casio they understand that. Which is why at present – and even more so in the future, we are told at the head office – the company is focusing attention on its production method in advertising campaigns and press releases. Not just the high-tech side, but also the artisanal aspects. 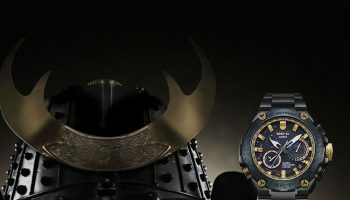 For example, the most expensive G-Shock in history was painstakingly hammered by a craftsman until it had countless minute dents; a technique historically used to make Samurai armour. In the future the company will be presenting more models that have a proud connection to traditional Japanese culture. ‘Made in Japan’ has to evoke the same sense of prestige and quality as ‘Swiss Made’ does today. That is not such a far-fetched idea, because Japanese electronics and equipment are regarded around the world as efficient, high quality, reliable and user-friendly top products. And car brands Lexus and Infinity have managed to carve out a place in the luxury car segment through sheer perseverance and by producing high-quality products. That’s what Casio wants to achieve as well.